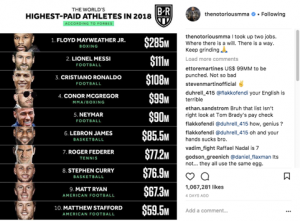 Conor McGregor managed to push his way through the rankings of the UFC in a very short space of time and it seems as if that will-to-win hasn’t deserted him following Forbes’ release of the highest-paid athletes in the world. 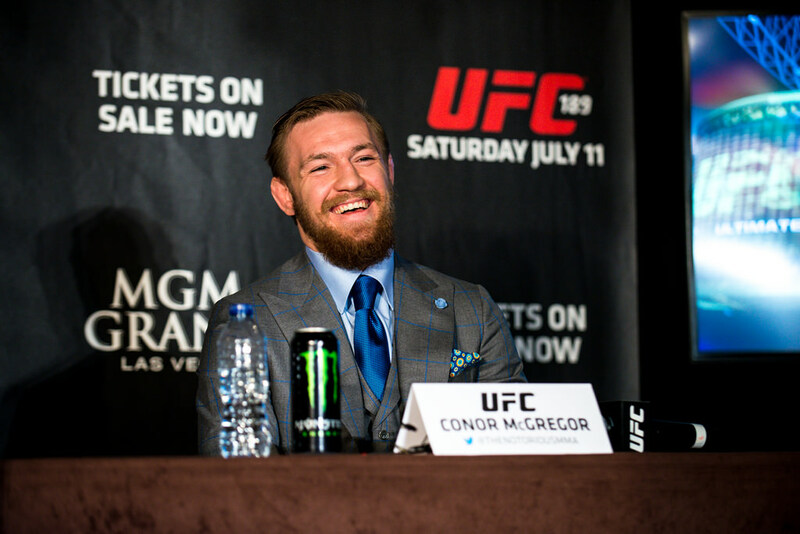 McGregor was listed number four on the rich list ahead of the likes of LeBron James, Roger Federer and Matt Ryan and was only topped by Cristiano Ronaldo, Lionel Messi and of course, Floyd Mayweather Jr. 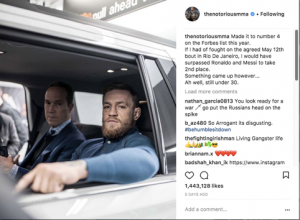 But McGregor quickly took to Instagram following the release of the list and assured fans that he would have been placed higher had he not had a costly little court order for his actions whilst in New York. This, coupled with the fact McGregor was due to compete in Rio de Janeiro last weekend and didn’t, would have seen him sitting comfortably in second on that list. Considering McGregor has made the list at number four is a tremendous feat and that is made better by the fact he is the youngest athlete in that top four and also that he is the only mixed martial artist in the top 100. 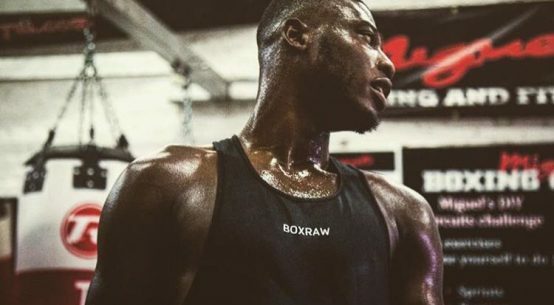 But the man sitting at the top of that very big list, Floyd Mayweather, insists McGregor will never be number one and says he has a very good reason as to why. Quite simply, he believes McGregor needs Mayweather in order to reach the top and rubbished such claims. 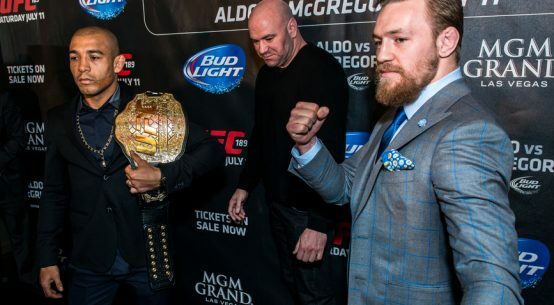 Who will UFC superstar Conor McGregor fight next?